Metro Prep Academy’s SMITH program has been 15 years in the making. Artistic Director and founder, Ryan Seeley has been teaching talented students, grades 7 through 12, acting, directing, music, and the humanities at Metro since 2001. This new, specialized arts initiative offers students the opportunity to deeply explore their creative talents while studying at one of Toronto’s most unique and respected independent schools. SMITH students have access to all that Metro Prep has to offer academically, while being immersed in a broad spectrum of arts classes (Music, Media Arts, Visual Arts, Theatre and Film) taught by experienced professionals in their respective fields. In a conservatory-like setting, each student follows a path that inevitably leads to the discovery of their own artistic voice. Along the way, they are exposed to the imaginations of the world’s greatest thinkers, writers, leaders, and historians through Metro Prep’s enriched humanities programming. This unique approach integrates the academic and the artistic like no other school in the country. Click through the SMITH letters below to explore each aspect of our program. Walking into Metro Prep, you’ll quickly notice that it is not your "old-fashioned" private school. The academics are structured and challenging, yet the environment is supportive and nurturing. Faculty and administration doors are open, encouraging strong relationships with students and their families. No uniforms are in sight, allowing young men and women to express their individuality. In this comfortable setting, Metro Prep’s students are taught to trust their instincts, to think both critically and creatively, ask questions, and seek the assistance they need to succeed. What stands out about music at Metro is the Alternative Orchestra. Since 2007, a group of musicians at various levels of experience have been playing classic music from all generations together, live. Every year the orchestra welcomes new players and evolves into a unique band of diverse students and teachers. Integrated Arts focuses on blending traditional subjects with modern curriculum. Students are encouraged to explore a variety of creative outlets in one class. Metro Prep believes this approach provides necessary preparation for anyone looking to pursue post-secondary education programs in the arts and entertainment field. Our instructors are both certified teachers and working professionals in their given field who bring hands-on experience and industry perspective to the classroom. Students work in a practical studio environment where they are encouraged to work creatively, collaboratively. An honest connection between an actor and director should never be underrated, especially in the theatre. Theatre at Metro began with the building of our very own black-box studio in 2001. This constantly evolving space has seen productions of the classics and the modern avant-garde. The success of our program is the direct result of disciplined training, bold design and staging plays that matter. The word 'humanity' and all that it represents is the foundation of our approach to education. At the core of SMITH, we instill values of equality, empathy and honesty. Our courses do not shy away from the harsh realities of what it means to be human. SMITH allows students to truly connect to stories that make them think for themselves. Our courses are designed to inspire students to look at history, literature and society from a multitude of perspectives. Download our booklet for an overview of the SMITH Program, browse our gallery, and visit the rest of our SMITH pages for more details. Acceptance into SMITH is based on an audition/portfolio and interview. Auditions are held throughout the year and are by appointment only. Prospective students who thrive in one or more artistic fields can apply for merit based SMITH Scholarships. Merit-based entrance scholarships for Canadian residents range from $1,000 to $20,000. For more information please contact smith @ metroprep.com. Essential to a great education is the opportunity to explore the connections between the classroom and the real world. For over 35 years, Metro Prep has been expanding students’ minds through immersive field trips, world-class productions, and professional industry collaboration. Whether it is under the bright lights of Broadway or under the stars above Tanzania, showing our students the world is something we do well. At the heart of SMITH is a love and understanding of the importance of the arts in all our lives which is why SMITH is also designed as a place for students who want to pursue careers in STEM-related fields (Science, Technology, Engineering, and Math). We believe that no matter the destination, all of us are enriched by the arts in our education. Throughout all subjects, Metro Prep also places an emphasis on preparation for post-secondary education and has helped 98% of graduates gain entrance into the University/College of their choice. 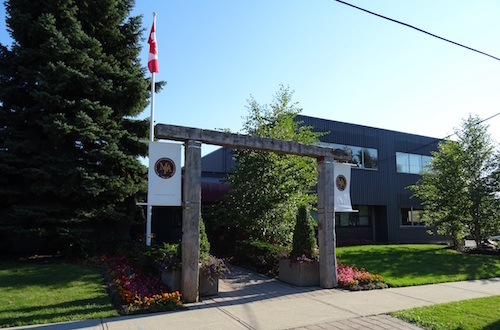 Metro Prep Academy is a private middle school and high school program located in mid-town Toronto that prepares its students for success at the university level and beyond. With 35 years of experience fully supporting childrens’ potential and helping them gain entrance and success at the university of their choice. Founded in 1982, Metro Prep knows that educators with the right attitude, providing a supportive yet challenging academic environment, can profoundly impact a student’s life. Ryan Seeley is the Vice Principal and founder of SMITH - Metro Prep Academy’s new School of Music, Integrated Arts, Theatre and Humanities in Toronto. He has been teaching the Arts and Humanities at Metro Prep since 2001. Prior to this, Ryan earned his Master’s degree in Drama at the University of Toronto. He is a graduate of the British American Drama Academy at Oxford University, U.K. and received his Bachelor’s degree in English from the University of Guelph. Outside of teaching, Ryan is a professional actor, director and musician and lives with his daughter, Scarlett and his wife, Courtney in Hamilton.